At the 42nd annual SIGGRAPH, the computer industry’s largest professional gathering, there were six major production sessions about animated features. The five already released, 3D computer generated films from Disney, Pixar and DreamWorks, contained the visuals you would expect to see. The sixth computer generated film was something different, a work that honors the 2D aesthetic of Charles Schulz’s beloved Peanuts comic strip. 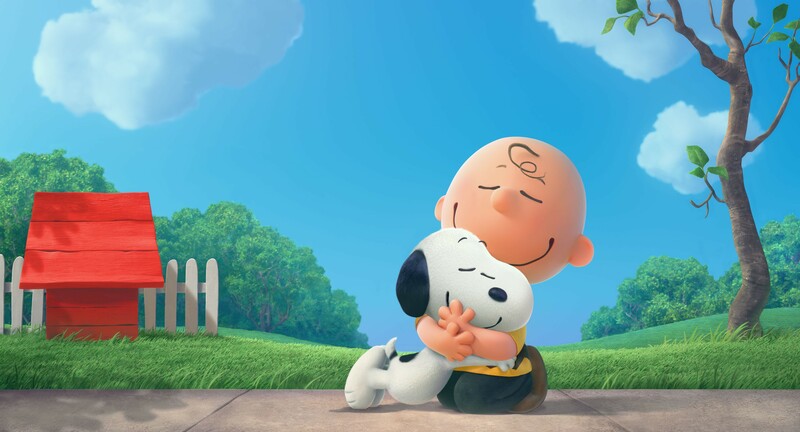 Bringing the iconic characters of Charles Schulz’s comic strip Peanuts, which ran from 1950 to 2000, to life in The Peanuts Movie was quite a challenge for the creative and technical people at Blue Sky Studios. 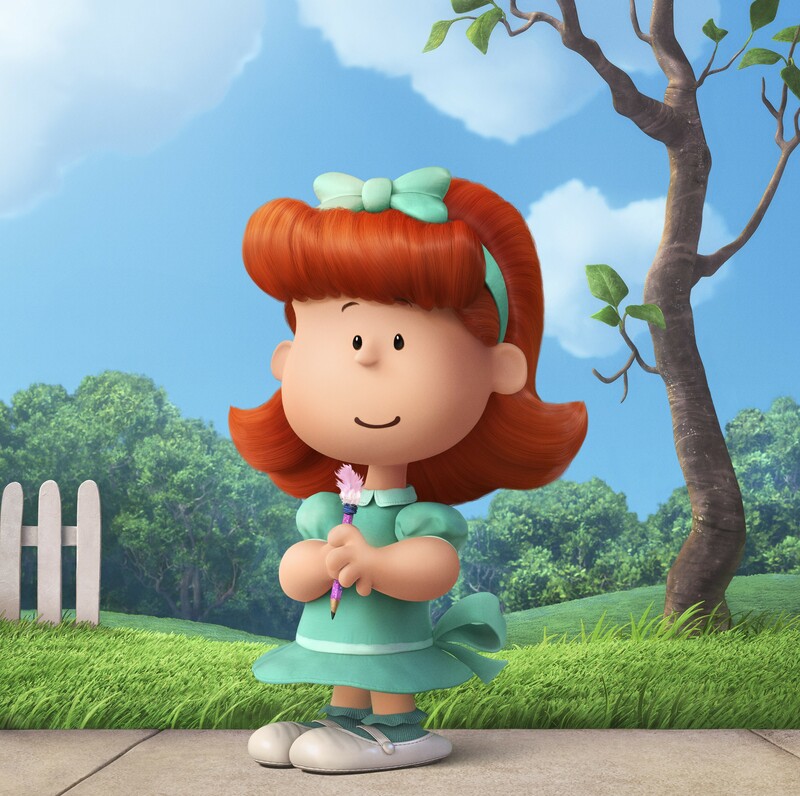 Schulz’s wife and his children had agreed to let Blue Sky turn Charlie Brown and his friends into CG stars, but only if the work stayed true to the look and spirit of the original artwork and writing. Could it be done? Most past CG films starring well-known 2D comic strip and animated characters veered too far from the originals. Several were flops, both artistically and at the box office. 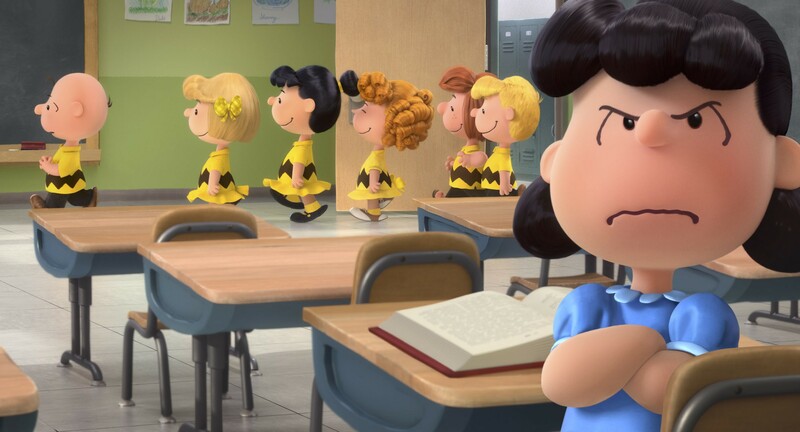 Lucy (foreground) is none too happy about Charlie Brown’s newfound status, in THE PEANUTS MOVIE. A panel of key players from Blue Sky Studios — including Art Director Nash Dunnigan, Animation Supervisors Nick Bruno and Scott Carroll, and CG Supervisor Rob Cavaleri — had taken part in early conversations about how to stay as close as possible to the classic pen and ink lines of Charles Schulz. At SIGGRAPH, they discussed what they went through to successfully bring his gang to the big screen. 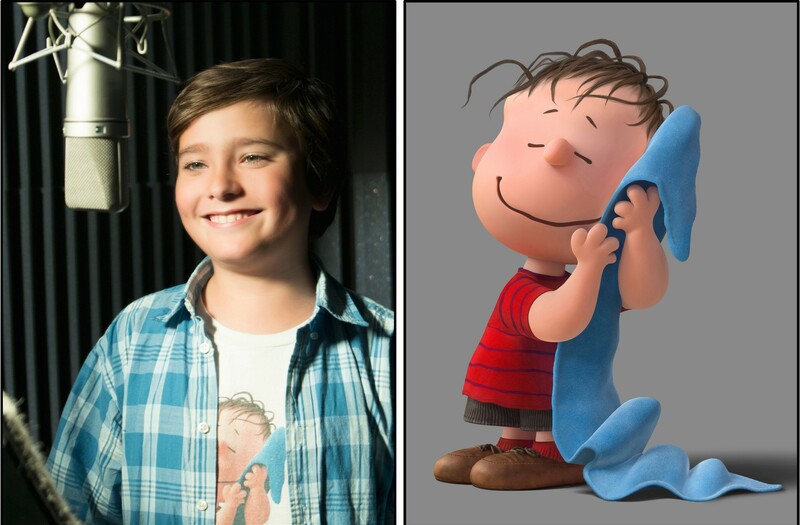 Alexander Garfin as the voice of Linus. Director of THE PEANUTS MOVIE, Steve Martino. The team’s early test shots didn’t yeild positive results, so to figure out satisfactory solutions, members of the team flew to the Charles M. Schulz Museum and Research Center in Santa Rosa, California to study original art work in the archive, including production drawings and the animated TV specials. Schulz’s wife is still quite active in overseeing the Peanuts estate and their son Craig was the feature’s script writer and producer. 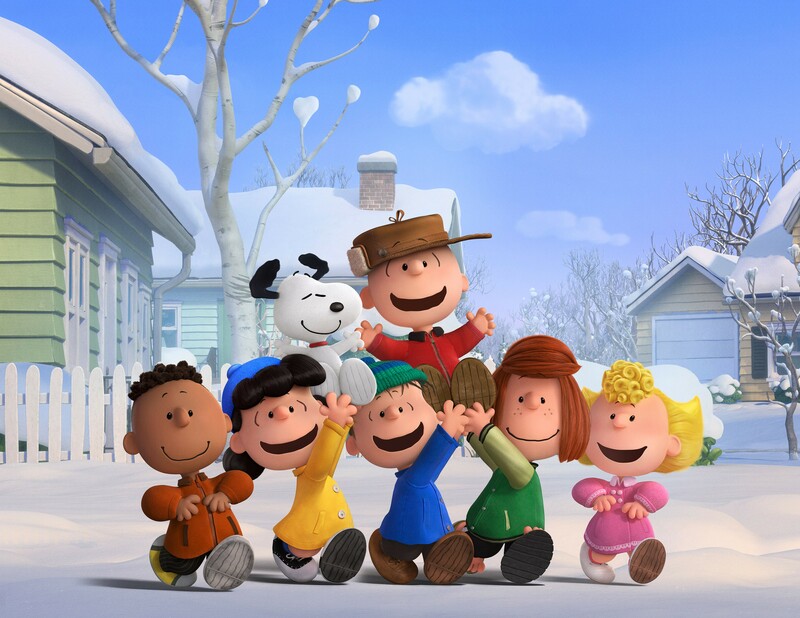 The Peanuts gang (Franklin, Lucy, Linus, Peppermint Patty and Sally) revel in a snow day. To solve the problem of hooking up one pose to the next they used several solutions, including fast movements that caused a blur between the poses, brief cutaways to another character to get a reaction shot, and creating new inbetween poses. Another problem was translating the dots that represented the dust swirling around Pig Pen into CG dust that still looked like it was hand drawn. When the film finally went into production, Blue Sky gave its animators a three-week crash course into how to animate this project. (Their training sessions would be presented at “Van Pelt University,” named in honor of Charlie Brown’s co-star Lucy van Pelt.) The film’s study guide included instructions on how to move ears, eyes and noses when a character shifted head positions. Art director Nash Dunnigan noted that they decided to keep backgrounds simple so that they didn’t distract from the characters. 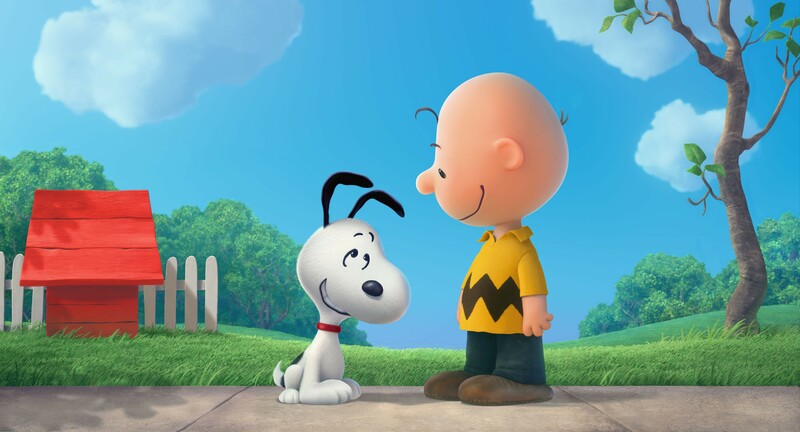 When the film was converted to stereoscopic 3D, scenes in which Charlie Brown appears remain rather flat, while sequences featuring Snoopy have more depth, especially the “World War I Flying Ace” sequences. 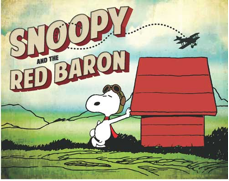 In the feature Snoopy will embark upon his greatest mission yet, to shoot down his arch nemesis, the legendary Red Baron, while his best pal, Charlie Brown begins his own quest to meet and win the affection of the Little Red-Haired Girl. Lucy will still be charging five cents for her psychiatric consultations. And, to be true to the comic strips, we will be seeing outdated technology like rotary phones and typewriters. The Little Red-Haired Girl is named Heather. According to early press notes, the film includes two romantic fantasies. 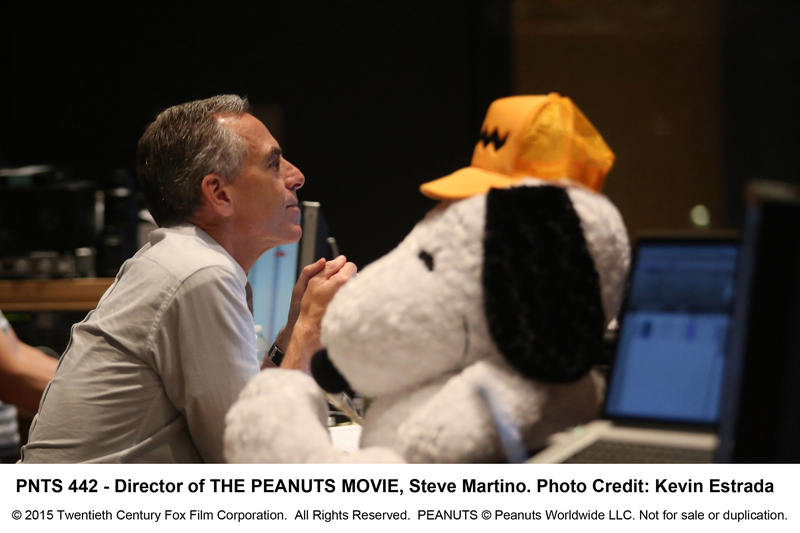 Steve Martinos, the film’s director, says, “Snoopy sees what is going on in Charlie Brown’s life and takes his cues from there. We see the story progress in his fantasy world.” He tells us that in Charlie Brown’s life he is smitten with the Little Red-Haired Girl, so Snoopy also tries to win the heart of a beautiful pilot named Fifi. 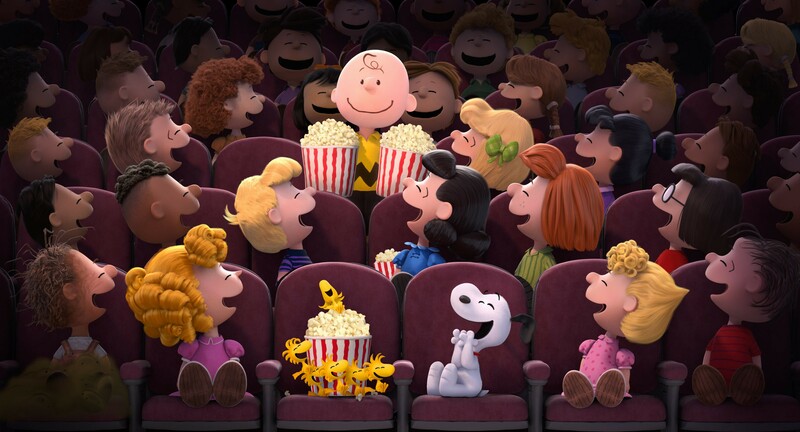 Are you looking forward to seeing The Peanuts Movie? The feature opens in theatres across the nation on Nov. 6, 2015. It was produced at Blue Sky Studios, the creators of the Ice Age features, and was based on the wonderful imagination of Charles M. Schulz. PEANUTS FANS WILL ENJOY TWO NEW EXHIBITS AT THE SCHULZ MUSEUM IN SANTA ROSA The exhibit The Peanuts Movie: From Schulz’s Pen Line to the Big Screen takes a look behind-the-scenes to learn how animators worked to capture the quality of original Peanuts cartoons and Schulz’s characteristic pen line as they brought the characters to life onscreen. See digital artwork from the movie, and original sketchbooks used by Director Steve Martino and Art Director Nash Dunnigan. The exhibit is currently open and ends May 30, 2016. 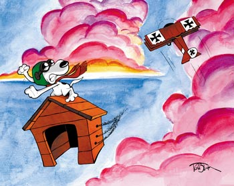 The second exhibit, Snoopy and the Red Baron, focuses on Snoopy’s fantasy of being a World War One Flying Ace in pursuit of The Red Baron. Learn about Snoopy’s alter-ego and real-life nemesis through rare artifacts, original cartoons, and a family-friendly interactive area brought to you by the creators of The Peanuts Movie. It closes April 24, 2016. The Charles M.Schulz Museum opened in August 2002 to fulfill its mission of preserving, displaying, and interpreting the art of Charles M. Schulz. The museum carries out this mission through changing exhibitions and programming that: build an understanding of cartoonists and cartoon art; illustrate the scope of Schulz’s multi-faceted career; communicate the stories, inspirations and influences of Charles Schulz; and celebrate the life of Charles Schulz and the Peanuts characters. The Charles M. Schulz Museum is located 56 miles north of San Francisco by car on Highway 101. The Museum is located at 2301 Hardies Lane, Santa Rosa, California, 95403. 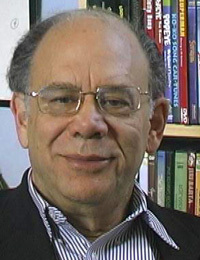 Karl Cohen has been teaching animation history at San Francisco State University since 1993, and has been writing about it since the late 1970s. A notable collector of animated films, he is the author of Forbidden Animation: Censored Cartoons and Blacklisted Animators in America. As the president of ASIFA/San Francisco, he edits and writes for the ASIFA/San Francisco newsletter, read by animation fans around the world. He is currently writing a book on animated propaganda and has written for EatDrinkFilms.com about Pixar, classic Disney animators Marc Davis and Charley Bowers. This entry was posted in Columnists, Films, Films: Animation and tagged animation, Charles Schultz, Charlie Brown, feature, Festival International du Film Documentaire Océanien, Films, Karl Cohen, Peanuts. Bookmark the permalink.